Marion Marrison was among a number of emerging photographers who responded to a wave of environmental awareness in Australia during the 1970s and early 1980s. Her extensive coverage of the Bonnet Hill bush on the outskirts of Hobart, Tasmania reconsidered previous approaches to imagining the landscape in Australian photography. Composed of both colour and black and white images, the series takes the viewer deep inside the forest, with often disorienting results. 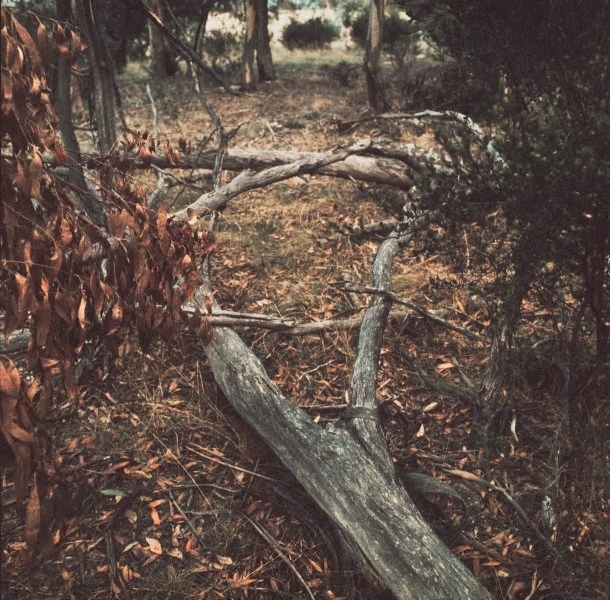 Marrison’s camera is almost always focused on the ground, picking out fragments of fallen branches and foliage. With no horizon line or clear sense of scale, the landscape seems to slip outside of the camera’s limited field of vision. In Marrison’s detached photographic studies, nature has a logic of its own, which is not hostile but merely indifferent to human presence.